Two theses are presented in this book. 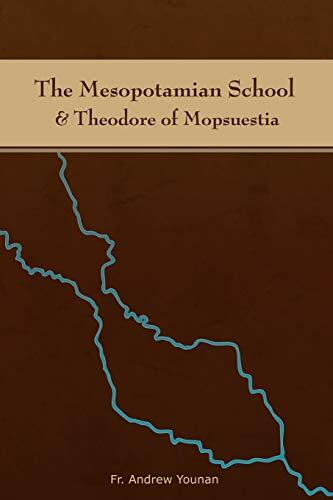 First, that there is an overarching "School of Thought" in Mesopotamia, consistent in its basic tenets, from ancient times to the late middle ages, and that this "Mesopotamian School" is fundamentally realistic as opposed to idealistic. Second, that the Christology of Theodore of Mopsuestia, as read as an expression of this School, is orthodox by the Chalcedonian standard. Included in the Appendices are complete translations of Mar Narsai's 16th and 35th Metrical Sermons, on human nature and the Trinity, respectively, as well as of his "Dialogue Between the Watcher & Mary."